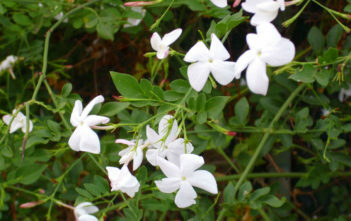 You are at:Home»Archive for "Jasminum"
Jasminum (commonly known as Jasmine) is a genus of shrubs and vines in the Olive family (Oleaceae). 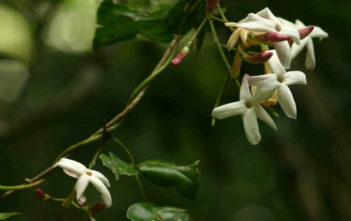 Jasmines are native to tropical and subtropical regions of Eurasia, Australasia and Oceania, although only one of the 200 species is native to Europe. Their center of diversity is in South Asia and Southeast Asia. 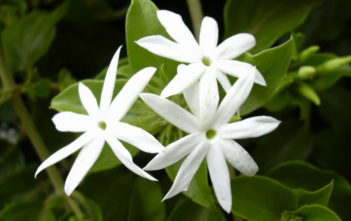 The genus name is derived from the Persian Yasameen “gift from God” through Arabic and Latin.